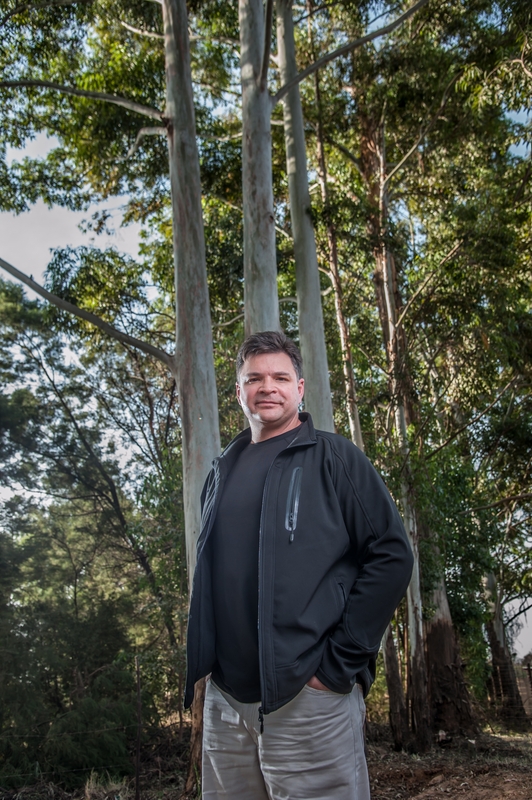 Professor Zander Myburg of the University of Pretoria, South Africa, in front of Eucalypt trees. Photo by Photowise. With a result that offers major potential for the forest industry, an international team of researchers has successfully sequenced and analyzed the genome of Eucalyptus grandis. “Now that we understand which genes determine specific characteristics in these trees, we will be able to breed trees that grow faster, have higher quality wood and use water and land more efficiently,” said the lead investigator on the project, Prof. Zander Myburg of the University of Pretoria, South Africa.